In our modern technological world, we have lost touch with the natural movement and control of our bodies that early man possessed, that even to this day our pets still intuitively embody. Gravity and friction take over, resulting in unnatural habits that irremediably lead to poor posture and alignment; unnecessary pain and aches; a lack of concentration, control and loss of energy; and the tendency to breathe and move in ways that rob us of the power and control we were born to use. Pilates, in its authentic form, as developed by Joe Pilates, was designed to get us back in touch with our core energy and the natural rhythm of our bodies. It is practical, making daily task easier and arduous tasks possible. Pilates is alternative health. It helps prevent injuries, empowers you to self heal, and maintains you in superior physical and mental condition. Catherine is devoted to revealing the full potential in every one of her clients, whether in private one on one sessions and semi-private using the full range of specialized apparatus Joe designed, or in group mat classes. Regardless of your age or physical condition, we invite you to explore our web site to learn more. Contact us. Every one has the intrinsic right to health and happiness - it starts with the will to improve yourself. have a completely new body in 30 sessions." 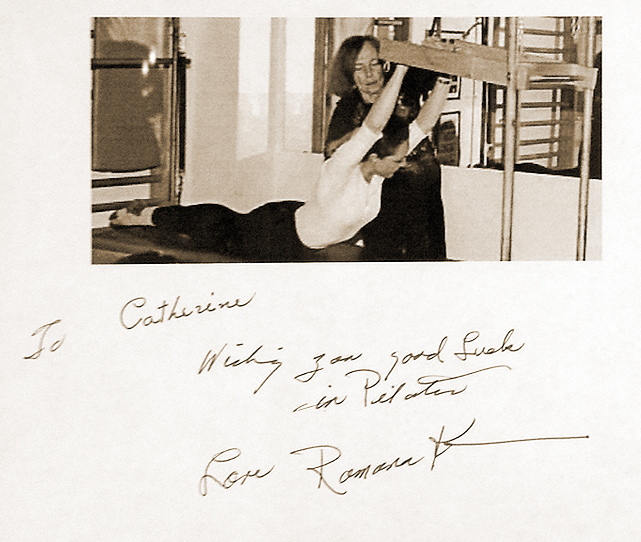 Romana Kryzanowska passed away at the age of 90, on August 30th 2013. 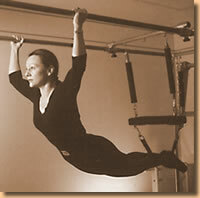 So few direct links to Pilates remain. Romana was the closest to Joe. I am so grateful for the knowledge she passed directly onto me as Romana was one of the closest to the source. It is a sad moment in time and a glorious one as well as I remember her fondly.